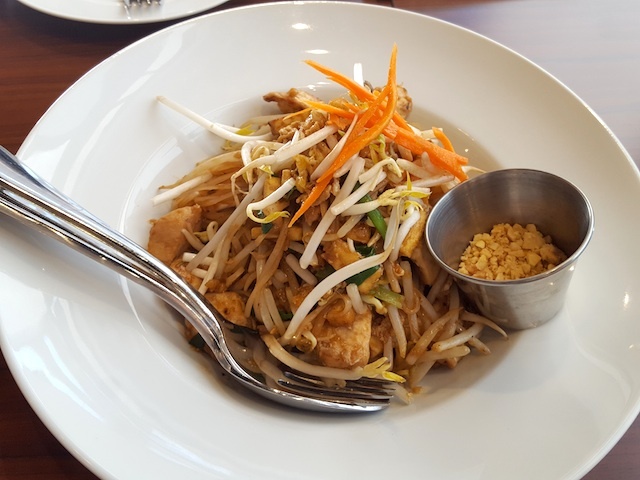 LOFT Thai Eatery has recently opened on the southside (75 St and Roper Rd). I was a bit surprised when I arrived for dinner on Saturday because the storefront was much smaller than I had anticipated. It almost looked like a takeout joint, but there were five tables inside the small space — all reserved. Luckily I made a reservation or else I would've been out of luck. I browsed through the menu and a good half of it was fusion dishes including an entire section called "Loft Signature Entrees" which are made exclusively by the executive chef. I was intrigued by these signature entrees, but due to the elevated prices ($21-$25) and my craving for more traditional Thai dishes, I decided not to order any of them this time. 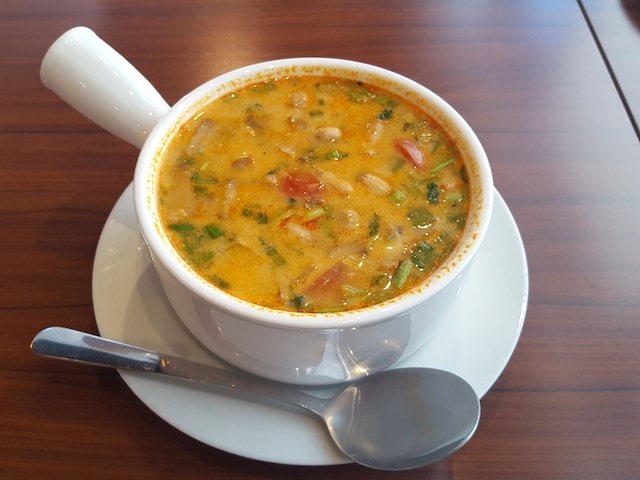 Out of everything I tried on this visit, I was most impressed with the tom yum goong ($8). The flavour of the soup was so perfectly balanced with just the right amount of sourness, spiciness, and aroma of all the spices. Highly recommended with the prawns! 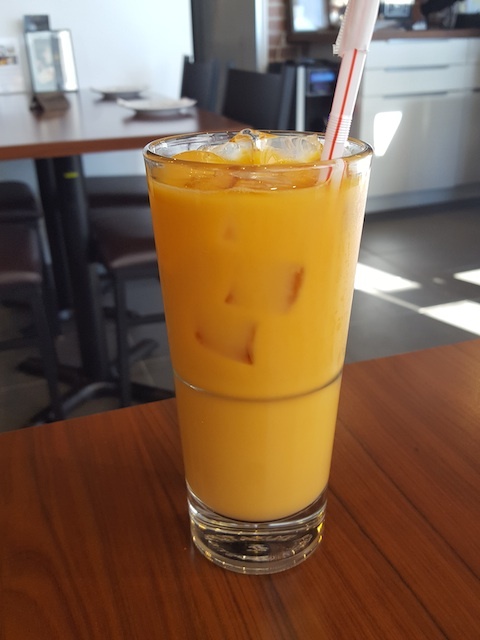 I still haven't found a good Thai iced tea in Edmonton yet. This one was not too bad, but it didn't have a strong enough tea flavour. It was quite weak, but tried to make up for it in sweetness. I was craving a good pad thai ($16) and this certainly hit the spot. It was milder in flavour than most other pad thai I've had, but I liked that it was not too salty or greasy. Another well-balanced dish with a good blend of sweetness and savouriness, followed by a slightly sour aftertaste. 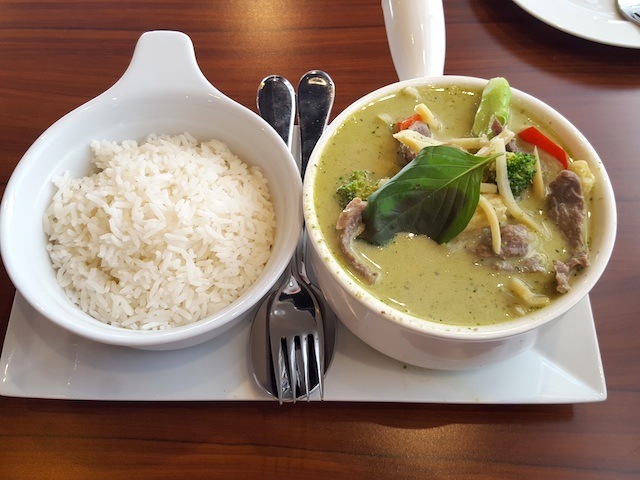 The Thai green curry ($15), unfortunately, was a bit of a let down. First of all the curry was extremely watery like a broth consistency. It was quite spicy but not as flavourful as I would've liked. Also I expected the taste and flavour of the curry to be infused in the meat and vegetables, but this was not the case. The beef (which was not very tender by the way) and veggies tasted like they had been cooked separately and then thrown into the curry sauce just prior to serving. Also the portion of the rice was really small, but I guess I shouldn't expect too much for $15. The dessert of mango and sticky rice ($8) was a satisfying way to end the meal. 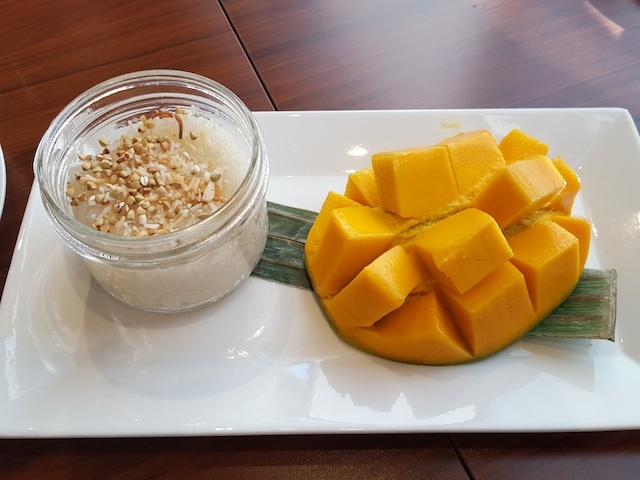 The mango was nice and ripe, and I loved how the sticky rice was served piping hot. Overall I had a decent experience here and will probably come back to try the signature entrees. If I think of this place as a typical Thai restaurant, then I would be disappointed in the portion size and authenticity. But this is really more of a Western style dining experience. I think the flavours of traditional Thai cuisine have been adjusted for the Western palate, and as mentioned earlier, at least half of the menu consists of fusion dishes. Another thing I've noticed is that the portions are not meant for sharing; each person needs to order his/her own entree and then get appetizers and desserts to share.